While people are generally excited about the newly launched HTC One M8, many One M8 owners are wondering about the upcoming Android 5.1 Lollipop update that will reportedly include Sense 7.0 in the mix. 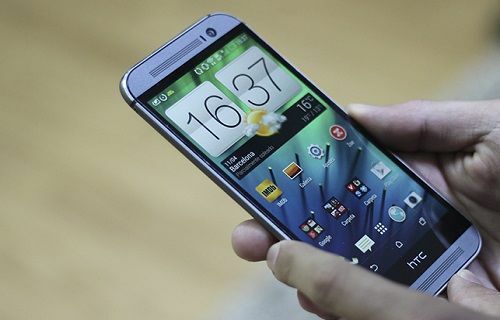 Although One M8 users were expecting an update to come forth this week, after the official release of the HTC One M9, it seems like HTC is not ready to ship Sense 7.0 or Android 5.1 Lollipop to these users just yet. HTC UK has just confirmed on Twitter that the One M8 Android 5.1 Lollipop update with Sense 7.0 will not be released at least until August 2015, and the One M7 will most likely be omitted this time around, which is kind of sad. Although HTC UK usually doesn’t speak for global releases, the pretty far off timeline that they set does lead us to believe that the One M8 Android 5.1 Lollipop update will not be happening anytime soon. The company has not disclosed any reasons for the delay, but our hunch is that the new builds induce a few bugs in Sense and they need to be fixed as soon as possible. It’s all very hush-hush with the One M7, on the other hand, but HTC has previously stated that the One M7 would not be getting any updates after Android 5.0.2 Lollipop. Now that could be just an early prediction and HTC UK did say nothing is confirmed about the 2013 flagship, so there’s still some hope left. As for the One M8 Android 5.1 Lollipop update, users will just have to hope for the best. In my opinion, HTC won’t hold off the update that much, unless it is planning to launch something new in the United States. If not, I don’t think that the One M8 Android 5.1 Lollipop update will be released in August, but I do think we will have to wait until the end of May, at the very least to find out more about it.